After the attack on Parliament in 2001, it was clear to all right thinking members of the strategic community that the most likely scenario for conflict in South Asia would be that of punitive retaliation after a Pakistan terror strike. In 2001, the prime minister and the chiefs of the three services discussed what could be done. 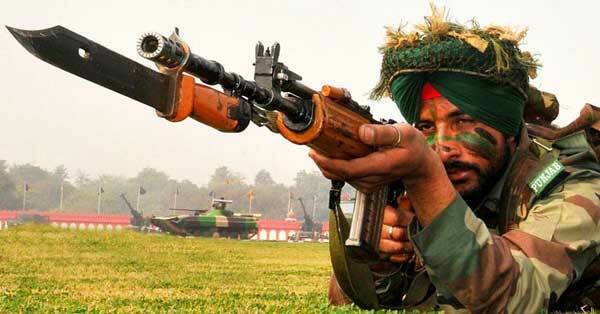 The PM wanted a swift, surgical and punitive action whereas the chiefs were offering a war of attrition. None of the three services offered what the PM wanted because either they did not have the intelligence, or the hardware, or the training or a concept. The situation actually called for a surgical strike by special forces to be launched across the border in specially equipped low-flying, night-flying helicopters, of which we had none at the time. It is assumed that the chiefs would have gone back shamefaced and addressed this lacuna immediately. But seven years later came the Mumbai horror and the then PM and the chiefs had the same kind of conversation they had had in 2001. The PM asking for options for punitive retaliation and the chiefs offered none, for the same reasons as in 2001. If it wasn’t clear in 2001, it should have been clear in 2008, that a war arising out of punitive retaliation would be the most likely scenario for conflict in South Asia and that the three services should prepare single-mindedly for that scenario. Incredible though it seems, nothing was done towards preparing for that scenario. Then came Pathankot and now Uri. Pak Moles: Are Peaceniks Legitimizing Acts of Rogue State? 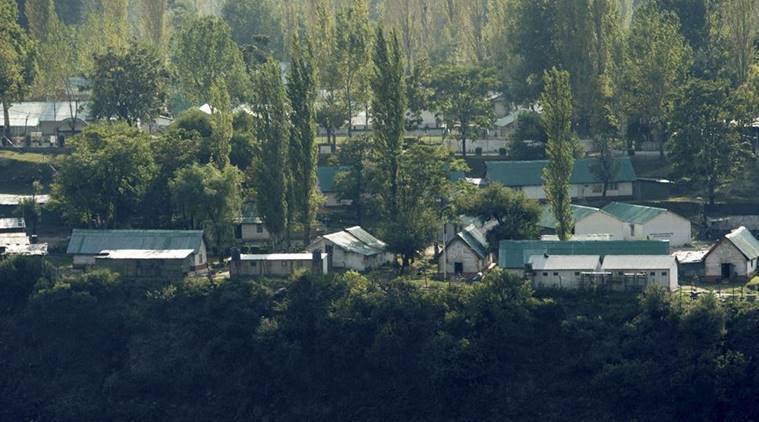 The Brigade of Peaceniks, comprising sundry elements in the print and electronic media, NGOs, leftists and ex-ministers, which had lain low in the initial days of the Uri attack, is once again flexing its muscles, trying to deflect the government from its avowed goal of punishing Pakistan. One group of experts wants him to impose restrictions on the use of Indus waters by the rogue state, while another discourages him from any such move, on the grounds that it would boomerang. Anything can happen in a country which hides the likes of Osama bin Laden, the world’s most wanted terrorist, yet bluffs the US about his presence. Some dailies and magazines are already questioning the rationale of prospective military action by invoking the bogey of a nuclear war between the two countries, which is being given increasing credence by the visual media. Something laughable if not downright infantile! They pretend as if Pakistan will emerge unscathed from the consequences of its folly and walk into the sunset after the dismemberment of India and annexation of Kashmir. Have the peaceniks ever pondered the possibility of a jihadi group seizing such a weapon of mass destruction in Pakistan’s own backyard and deploying it to blackmail the ‘mighty’ United States? The consequences would be too catastrophic to contemplate. Anything can happen in a country which hides the likes of Osama bin Laden, the world’s most wanted terrorist, yet bluffs the US about his presence. It took 50 million horrific deaths and the prospect of even greater global devastation to drop atomic bombs over Nagasaki and Hiroshima, during World War II. Not some isolated instances of smashing terror camps or scattered infantry raids. After four years of difficult negotiations – as well as even a collapse of talks (over the contract for 126 aircraft) – the Indian Government has inked an $8.85 billion deal with France for 36 Dassault Rafale multi-role fighters. The first batch of fighters will be delivered to India by September 2019; the remainder will be received over the subsequent 30 months (By April 2022). Rafale is a MMRCA (Medium Multi Role Combat Aircraft) capable of carrying out all combat aviation missions: interception, ground support, in depth strikes, reconnaissance, anti-ship strikes and nuclear deterrence. It was inducted in French Navy in 2004 and Air Force in 2006. 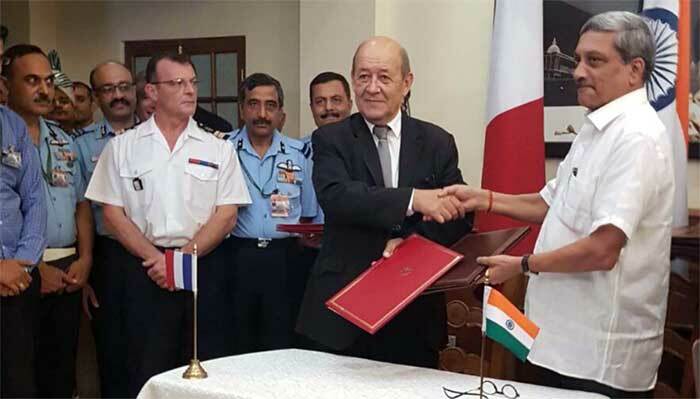 India-France Rafale deal includes infrastructure and support supplies; India specific modifications; additional weapons package; performance based logistics support. Within the contract itself, $3.84 billion will be spent on the aircraft themselves and an additional $2 billion will be put towards the requisite maintenance and logistics infrastructure to operate the fighter. Dassault has also guaranteed that the Indian Air Force (IAF)’s Rafales will maintain a 75% availability rate. In other words, 27 of 36 fighter fleet will always be war-ready what is also called as the existing frontline fighter; the Sukhoi Su-30MKI has only 60% availability which means just over 100 out of 200 are war-ready. $1.9 billion will be spent on IAF-specific customization, such as the integration of an Elbit helmet-mounted display and sight (HMD/S) system and other internal subsystems. A munitions package worth $800 million is also being acquired; this will include Meteor beyond-visual-range air-to-air missiles (150km) and SCALP (300km) air-launched cruise missiles. Other concessions include free training for nine IAF personnel, additional guarantee for 60 hours of usage of training aircraft for Indian pilots and six months of free weapons storage without charge. Despite last Sunday’s Uri attack, immediate military retaliation does not seem to be on the cards. That, however, does not mean that India has no non-conventional, non-nuclear options open to it. Strategic thinkers like Brahma Chellaney have argued that India should unilaterally withdraw from the Indus Water Treaty, signed in 1960 and in operation since then, uninterrupted despite three wars between India and Pakistan. The Treaty does not provide for its dissolution or for unilateral withdrawal of any country. Chellaney in a recent article argues for using international law, specifically Article 62 of the Vienna Convention on the Law of Treaties which provides for dissolution based on fundamental change of circumstances. Former Foreign Minister Yashwant Sinha too has suggested withdrawal from the Treaty, a demand that is likely to gather pace as the Government explores different options. The Indus Water Treaty was necessitated by the partition of Punjab in 1947, which left the head works of the Indus basin irrigation system in India and the actual canals in Pakistan. At independence, Pakistan panicked at the possibility of India’s turning off the tap though the two countries soon entered into a stand-still agreement which ensured that things would go on normally, giving the two sides time to negotiate a mutual agreement. Pakistan, not satisfied, approached the Americans for help in formalising its access to the river waters. The cause of Pakistan’s concerns could be its own behaviour with Kalat (Balochistan) and Jammu & Kashmir, where it unilaterally used force to try incorporate these kingdoms despite having entered into stand-still agreements with their rulers. In his new collection of essays, Democrats and Dissenters (Allen Lane), Ramachandra Guha writes, among other things, about the vacuum in the Opposition, how the Congress's voice of dissent is becoming feeble. You write about the long life and lingering death of the Congress. What is the impact of the Congress's decline? There are still very many people — too many, I would say — who think that the Congress can revive as a national political force. But my sense is that what we are probably seeing is the BJP emerging as the only national party in the foreseeable future. The BJP, in terms of its role in Indian politics not in terms of its ideology, will be like the Congress in the 1960s and '70s. There will be some challengers — the Communists in Kerala, the Trinamool in Bengal and the Dravidian parties in Tamil Nadu — but the BJP will be overall dominant. That was exactly how the Congress was — the Communists came to power in 1957, the DMK in 1967, the Akalis became quite strong in Punjab — but overall there was no national alternative. The Swatantra Party, founded by C Rajagopalachari, tried and failed. Now the Aam Aadmi Party may try and it will be interesting to see how far it will go. But for the next 15 or 20 years, I think, the BJP will be the hegemonic, determining force in Indian politics. Is a reinvention possible for the Congress? You have been critical of Rahul Gandhi, whom you have called incompetent. For decades our intelligence agencies have said that the Hurriyat Separatists are not relevant, which ironically is being peddled even today by veterans of R&AW in seminars and forums of discussions. Strangely this also includes those who have operated inside Pakistan. It appears that while India has always had glaring voids of cross-border intelligence, we have largely failed to keep a grip on the ground situation, which has adversely impacted the present scene in the Kashmir Valley, and which may have similar consequences elsewhere too. Naik Ahmad (name changed) left more than a month ago from his duty station to organize the marriage of his kid sister, an apple of his eye. 21 years ago, Ahmad had been enrolled by a team of Jammu and Kashmir Light Infantry Regiment at its Centre near the Srinagar airfield, in Oct 1995. Ahmad was eldest in his family. His father was virtually a landless daily wager. Indian Army gave Ahmad an identity, his family a way ahead to construct a home, education to his two brothers and the sister. The sister, who was five years old when he had joined the Army, is a nurse now, having completed her two years course after 10+2. She is now working in the immunization program in the local hospital. With an educationist as a perspective son in law in the family, they aspired to have an educated future generations and a brighter future for the family. After last week’s terrorist attack on an Indian military base in Uri, Kashmir, which resulted in the deaths of 18 soldiers, a debate over how to respond has ripped through India’s strategic community. For the time being, the Indian Prime Minister appears to have signaled a restrained course, but additional measures could be considered and the debate will surely continue. Three points of conventional wisdom have already begun to crystallize. All of them seem to tilt India towards military action. The first point is that the Narendra Modi government will pay a high political cost if it chooses not to pursue military action. The second is that India’s credibility and prestige will be damaged if it does not make good on previous threats to retaliate. The third is a diagnosis that the root of India’s vulnerability is its lack of options to punish terrorist organizations and Pakistan, which the Indian government accuses of sponsoring the attack. In fact, all three arguments are erroneous, exaggerated, or incomplete. If the Modi government opts for a military response, it will be neglecting the wisdom of past Indian Prime Ministers, who recognized the costs of a risky, destabilizing crisis dwarf the scant political, reputational, and coercive effects. As far as a nation's comprehensive National Power (CNP) goes, India is well ahead of Pakistan. Therefore, India must employ the abundant resources at its command to teach a befitting, long overdue lesson to Pakistan. This must be done by using a multi-pronged strategy. CONFLICTS have a nasty habit of creeping up the escalatory ladder, the absence of empirical or historical precedents notwithstanding. Conflict escalation is the process by which conflicts grow in severity over time. Between two nations, from non-kinetic to the various stages of kinetic engagements, is a matter of time if not controlled. Last week, for the nth time, Pakistan's mischief was witnessed in full flow in Jammu and Kashmir, culminating in the Uri attack on HQ 12 Inf Bde. Eighteen fatal casualties were inflicted on Army troops and 20 were wounded in Pakistan’s determined efforts to infiltrate maximum number of terrorists before the snows come in across the Line of Control(LoC). Whipping up an insurgency-like situation in the Valley has, once again, raised the hackles in India. That the nation, in unison, is clamouring for a swift and an overwhelming punitive response against a terror-exporting Pakistan is only but an expected emotion of the Indian public. Is India’s Israel envy misplaced? It is a curious thing that a nation of a billion people with an army of a million should yearn to be more like a country of eight million people—fewer than the Chennai metropolitan area —with an army of 180,000. But it is so. India’s Israel envy is manifest, like clockwork, upon every Uri-like attack. India is a soft state, inviting further punishment, while Israel rains fire upon its enemies, keeping them in check. India panders to world opinion, while Israel adopts the motto of Britain’s Millwall Football Club: “No one likes us, we don’t care.” One craves popularity, the other security. The comparison electrifies the right, offering a vision of bold Indian wars of deterrence, while horrifying the left, appalled by the condition of Gaza and the open sore of occupation without end. But is this envy misplaced? India and Israel are different in many important ways. But even if emulation were possible, Israel’s model of counter-terrorism may not answer the questions that Indians are posing. Consider capabilities, first. In terms of conventional war, Israel enjoys a number of advantages. Civil-military relations are the inverse of those in India, and elected leaders have extensive personal involvement with the Armed Forces. Prime Minister Benjamin Netanyahu himself served in Israel’s special forces, participating in some of the most significant cross-border raids of the 1960s and 1970s. Israel also has an overwhelming technological edge over adversaries, with around a third of all research and development going to the military. Taking one crude measure of sophistication, Israeli defence spending amounts to around $100,000 per soldier, while India allocates under half that. Israel’s mature defence industry makes it the world’s sixth largest arms exporter, the largest by far on a per capita basis. Afghanistan’s unity government has stalled on pledged reforms two years after U.S. Secretary of State John Kerry brokered a power-sharing arrangement to stave off violence after a disputed election. Meanwhile, Afghan and U.S. strategy is at sea amid a resilient insurgency, saysChristopher D. Kolenda, a former Pentagon senior advisor. With weak or predatory governance in the provinces, Afghan forces have not been able to consolidate military gains, Kolenda says, while U.S. policy “is not bringing conditions any closer to a political settlement, it’s not leading to the defeat of the Taliban, and it’s not getting any greater regional cooperation.” A looming fiscal crisis, too, threatens the government, but still Kolenda sees cause for optimism in recent moves toward reform and the rise of a younger, well-educated generation. The approaching two-year anniversary of the national unity government has been marked by the public airing of tensions between President Ashraf Ghani and Chief Executive Abdullah Abdullah. How unified is the government? There are three major tensions within the national unity government. The first is a debate over the organization of the Afghan state: some favor a presidential system, others a parliamentary system with more authorities delegated to subnational levels. Second, there’s the tension between those who want to dismantle the kleptocracy and those who want to perpetuate it. Third, there is the tension between those who want to engage in peaceful compromise and those who’ll resort to political violence. Some well-armed and powerful warlords tend to threaten or to follow through with threats of violence. Both Washington and Beijing need to prevent their allies from creating security crises. A major challenge for a great power is preventing allies and client states from creating unwanted security crises. No matter how close or friendly an ally might be, it has its own policy agenda, and that agenda may differ from that of its great power protector. Failure to rein in a client can be calamitous. Serbia’s pursuit of a stridently nationalist parochial agenda against Austria-Hungary in the years before World War I, for example, was a major factor in eventually entangling its patron, Russia, in the conflict. Both the United States and China need to be cognizant of this danger as they conduct their overall policies in East Asia. North Korea’s provocative and disruptive behavior, especially Pyongyang’s multiple ballistic missile and nuclear tests, highlights the problem for Beijing. Chinese officials appear increasingly frustrated as their North Korean “ally” seems determined to engage in such conduct despite China’s pleas, requests, and warnings torefrain. It would not be surprising if apprehension is rising in Chinese leadership circles that Kim Jong-un’s regime might do something truly reckless that triggers a war on the Korean Peninsula. The problem is that unless Beijing is willing to adopt draconian measures, such as cutting off North Korea’s food and energy supplies, the influence it can exercise over its rambunctious ally is decidedly limited. The United States faces somewhat more subtle dangers with two of its allies in East Asia, but the dangers are still very real. Taiwan is one of those allies--or more accurately a protectorate under the 1979 Taiwan Relations Act. U.S. officials had become accustomed to cooperative behavior from Taipei during the eight-year administration of Kuomintang President Ma Ying-jeou. Ma went out of his way to placate Beijing and always kept Washington in the loop regarding various initiatives. China-Russia ‘Joint Sea-2016’ Drill: Timely Convergence or Strong Signal? Chinese and Russian navies concluded their week-long “Joint Sea-2016” drill from 13-19 September 2016. These are the fifth Sino-Russian ‘Joint Sea’ drills since 2012. They are the single largest joint maritime military exercise between Russia and China ever[i] and are part of their efforts to strengthen military and security cooperation in recent years. Last year, the joint drills were held in the Sea of Japan and the Mediterranean, and involved the People’s Liberation Army’s North and East sea fleets. This year’s joint exercise, however, finds limelight on account of recent happenings and resulting tensions in the South China Sea. “There is nothing that I have seen from maneuvering an F-35 in a tactical environment that leads me to assume that there is any other airplane I would rather be in. I feel completely comfortable and confident in taking that airplane into any combat environment,” Lt. Col. Matt Hayden, 56th Fighter Wing, Chief of Safety, Luke AFB, Arizona, told Scout Warrior in a special pilot interview. The Philippines won its South China Sea case against China. But what Philippine President Duterte would like to do next? Myriad countries surround the South China Sea (or West Philippine Sea, if you prefer), namely China, the Philippines, Vietnam, Brunei, Malaysia and Taiwan. It is thus not surprising that since time immemorial these same countries should have had overlapping claims to these waters, their reefs, islands and atolls, including the Spratly Islands, Paracel Islands and Scarborough Shoal. The South China Sea is a massive 1.4 square million miles, an area the size of Mexico and larger than the Mediterranean Sea. In 1947, China issued a map of its claims, which encompassed about 90% of the entire South China Sea. This claim has come to be known as the "nine-dash-line", which reflects the pictorial representation of China's claim. Chinese President Xi Jinping claims that the South China Sea has been China's since ancient times. According to the United Nations Convention on the Law of the Sea (UNCLOS), countries have special access to marine resources, including fisheries, oil and gas, in the area up to 200 nautical miles from their shores, called exclusive economic zones. Most of the South China Sea is very much further from China than that distance. In 2009, China submitted a diplomatic note to the UN including the nine-dash-line on a map. This overlaps with claims by the Philippines, Vietnam, Malaysia, Indonesia and Brunei. Three additional S-400 regiments are slated for delivery by the end of 2016, according to an official in the Russian defense industry, which will bring up the total number of S-400 regiments to 16. One S-400 regiment is divided into two battalions. Each battalion consists of eight launchers and 32 missiles in addition to acquisition and engagement radar systems and a command post. As the dust settled, following the conclusion of the September 5–10 Kavkaz 2016 military exercise, the Russian Armed Forces entered into a budgetary battle with the Ministry of Finance. Russian Duma elections are scheduled for next Sunday (September 18); therefore, the process of drafting a 2017 state budget was postponed, together with unpopular measures like cutting spending and raising taxes to trim the growing deficit. The election itself is highly unlikely to matter much, since the new Duma will almost still be little more than a rubber stamp institution under the thumb of the Kremlin. But now, the postponed sequestration decisions must finally be taken. The finance ministry has reportedly been advocating a 6 percent cut in defense spending to match an overall federal budget sequestration of 10 percent. The military is pushing back; a nominal reduction of 6 percent would, in fact, mean a much more considerable cut in rearmament procurement because of inflation. A lack of competition means that inflation in the defense industry tends to be higher than the predicted average national level of over 6 percent. According to Admiral (ret.) Vladimir Komoyedov, former commander of the Black Sea Fleet and chair of the defense committee in the outgoing Duma, “Any cut to defense spending is untimely and could seriously undermine national security” (Interfax, September 9). Officials initially announced that the number of troops taking part in Kavkaz 2016 was 12,500, but this turned out to be a typical Russian (Soviet) disguise (see EDM, September 8). As the massive exercise wound up, the number two in command of the Russian military, the chief of the General Staff and first deputy defense minister, Army-General Valery Gerasimov, suddenly announced the true number of men involved to be 120,000. This act of transparency could reflect the desire of the Russian military to stress the necessity for massive defense spending. It was followed up this week (September 14), at a special press briefing at the Ministry of Defense, with Gerasimov confirming the 120,000 number. He explained that the previous 12,500 figure referred to the number of servicemen involved in live-fire exercises on specially designated shooting grounds during Kavkaz 2016. Some 480 metric tons of live munitions were used up during Kavkaz-2016, together with 35,000 tons of fuel (Mil.ru, September 14). The Jamestown Foundation is proud to announce the release of seven new papers connected to the special project, Russia in Decline, which seeks to shed light on the possible futures facing the Russian Federation—a country trapped on a downward trajectory. Summary: Here’s an essay about the European Union from one of Stratfor’s more perceptive analysts. It provides a unusual and insightful perspective on Europe’s long quest for unification, and the bumps along the way. The scene at Bratislava Castle last week was a familiar one: European leaders gathered for another summit in a typically idyllic setting, where the natural beauty of their surroundings belied the deep imperfections of the union they were struggling to salvage. But now, in the wake of Britain’s vote to leave the Continental bloc, delusion steeped in the ideals of an “ever-closer” union is wearing thin, and the realists in the room seem to be gradually gaining ground. The shift in the summit’s tone was to be expected; closet Euroskeptics can no longer hide behind the United Kingdom as they assert national rights and tamp down Brussels’ principles. They realize that the longer Europe’s leaders avoid the hard questions, opting instead to continue extolling the “spirit” of the European Union as a way to survive, the more the bloc’s guardians will have to react to — rather than shape — the enormous changes bubbling up from their disillusioned electorates. As Italian Prime Minister Matteo Renzi (who has tied his own political fate to a referendum in October) testily noted, the Bratislava gathering amounted to little more than a “boat trip on the Danube” and an “afternoon writing documents without any soul or any horizon” on the real problems afflicting Europe. Discontents by Joseph E. Stiglitz (2003). The number one users of this technology are in the health care sector. A lot of money in health care companies is invested in the technology and the figures keep rising each year. The other sectors which are increasingly using the technology are retail, government, manufacturing and financial service providers. Businesses are nowadays utilizing artificial intelligence to aid them in achieving their goals. Artificial intelligence utilizes internet data to collect and analyze information at a high speed. The machines’ cognitive strength is portrayed by their ability to implement decision making strategies by recognizing patterns and conducting analysis. The best artificial intelligence is one that is barely distinguishable from human performance in terms of customer service, communication and general human interaction. The growth and success of a company is largely attributed to customer experience. It is no surprise therefore that the development of artificial intelligence technologies is mostly in customer engagement area. A remarkable customer service encourages customers to have confidence in a company’s products or services. This technology is greatly transforming the business world by improving customer service. This is possible because the machines can predict trends in customer behavior. By knowing customer preference trends, a company can improve product quality, fasten production and improve on customer interaction. The tech world, Burger explained, was moving into a new orbit. In the future, a few giant Internet companies would operate a few giant Internet services so complex and so different from what came before that these companies would have to build a whole new architecture to run them. They would create not just the software driving these services, but the hardware, includingservers and networking gear. Project Catapult would equip all of Microsoft’s servers—millions of them—with specialized chips that the company could reprogram for particular tasks. In 2013, the US President signed an executive order designed to help secure the nation’s critical infrastructure from cyberattacks. As part of that order, he directed the National Institute for Standards and Technology (NIST) to develop a framework that would become an authoritative source for information security best practices. Because adoption of the framework is voluntary, it faces the challenge of incentivizing firms to follow along. Will frameworks such as that proposed by NIST really induce firms to adopt better security controls? And if not, why? This research seeks to examine the composition and costs of cyber events, and attempts to address whether or not there exist incentives for firms to improve their security practices and reduce the risk of attack. Specifically, we examine a sample of over 12 000 cyber events that include data breaches, security incidents, privacy violations, and phishing crimes. First, we analyze the characteristics of these breaches (such as causes and types of information compromised). We then examine the breach and litigation rate, by industry, and identify the industries that incur the greatest costs from cyber events. We then compare these costs to bad debts and fraud within other industries. The findings suggest that public concerns regarding the increasing rates of breaches and legal actions may be excessive compared to the relatively modest financial impact to firms that suffer these events. Public concerns regarding the increasing rates of breaches and legal actions, conflict, however, with our findings that show a much smaller financial impact to firms that suffer these events. Specifically, we find that the cost of a typical cyber incident in our sample is less than $200 000 (about the same as the firm’s annual IT security budget), and that this represents only 0.4% of their estimated annual revenues. Cyber threats have been described as “among the gravest national security dangers to the United States” (The White House 2015), and “an enormous and an exponentially growing threat” (Comey 2013). In 2013, the President signed an executive order designed to help secure the nation’s critical infrastructure from cyber (aka computer-mediated) attacks. As part of that order, he directed NIST to develop a framework that would become an authoritative source for information security best practices (see http://www.nist.gov/cyberframework/). Of course, because adoption of the framework is voluntary, it faces the problem of incentives by firms to adopt [“To promote cybersecurity practices and develop these core capabilities, we are working with critical infrastructure owners and operators to create a Cybersecurity Framework – a set of core practices to develop capabilities to manage cybersecurity risk. … While this effort is underway, work on how to incentivize companies to join a Program is also under consideration. While the set of core practices have been known for years, barriers to adoption exist, such as the challenge of clearly identifying the benefits of making certain cybersecurity investments” (Daniel 2013)]. Are firms incentivized to adopt better security controls? And if not, why? This research seeks to examine the composition and costs of cyber events, and attempts to address whether or not there exist incentives for firms to improve their security practices and reduce the risk of attack.